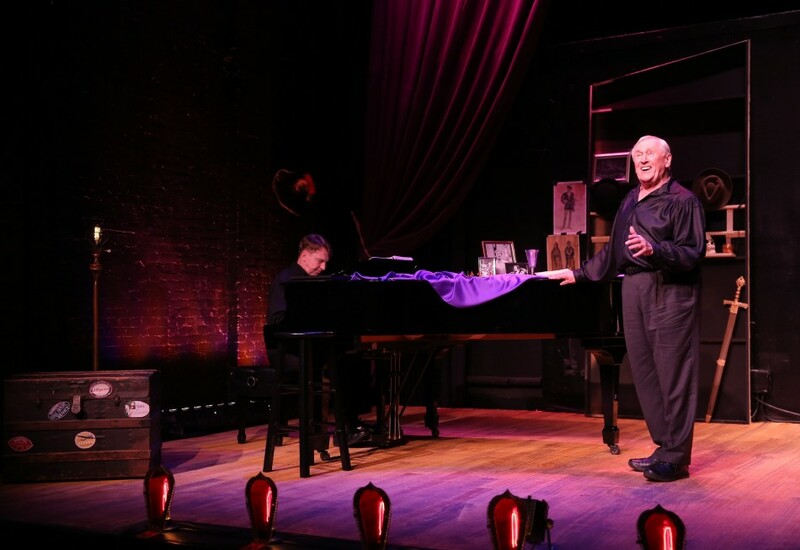 A most unusual theater piece, Broadway & The Bard (playing now at The Lion Theatre on Theatre Row) was conceived by Len Cariou, who is the show’s centerpiece; Barry Kleinbort, who also directs; and Mark Janas, who is the pianist and Greek chorus. 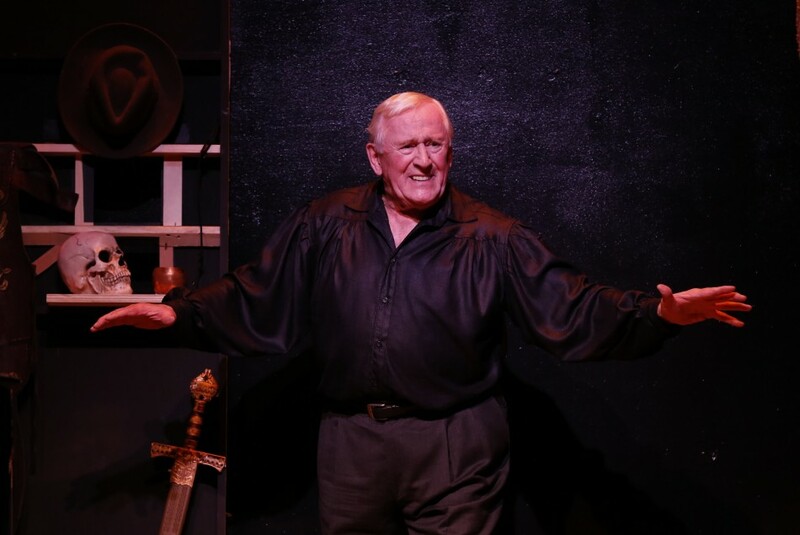 It allows Len Cariou to combine his twin passions, Shakespeare and musical theater. As he explains, he’d been “dealing with the notion of creating an evening of Shakespeare and song” for a long time. The program opens charmingly with a disembodied voice telling audience members to turn off their cell phones in Shakespearean prose. This is immediately followed by “What is it that we’re living for? Applause, applause.” And it was Applause, Applause that made me an applauding admirer of Len Cariou. With the speech about the death of kings from Richard II and “The seven ages of Man” followed by “September Song” this retrospective becomes elegiac. Almost immediately it bounces back with “Brush Up Your Shakespeare” so the audience leaves on a happy note. The talented director is Barry Kleinbort, Scenic Designer & Technical Director is Josh Iocavelli; Lighting and Sound Design by Matt Berman, who did a particularly good job with sound levels. The contributions of co-creator, pianist and Greek chorus Mark Janas cannot be overestimated. He is stalwart! It should be noted that this work, a memoir really, puts greater demands on the vocal cords than Verdi or Wagner. 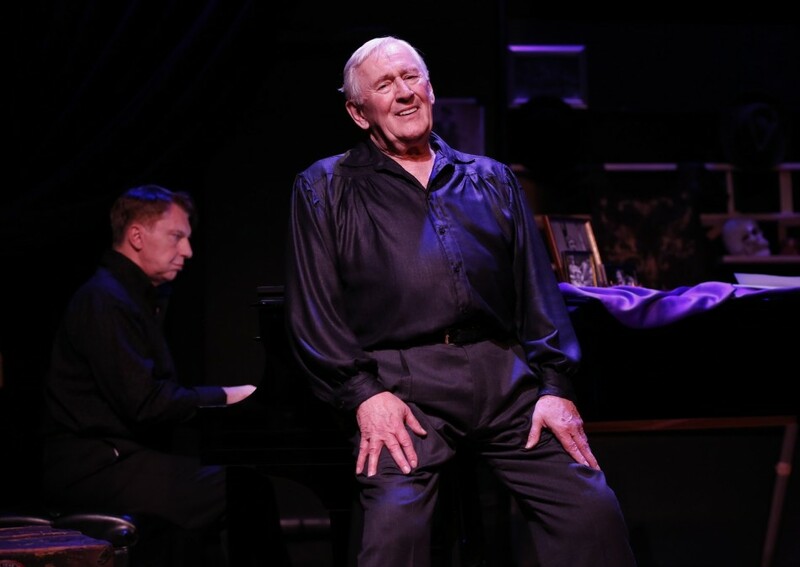 Len Cariou is onstage without respite for 80 minutes. The narration is a joy and all the Shakespeare is splendidly performed. But the songs are problematic. Where they’re pianissimo—“September Song,” for instance—they are sung superbly. But full-throated offerings that are forte are less effective. There’s a marked tremolo. That noted, the show is fun and there’s no better way to spend 80 minutes.